Fly fishing in rivers brings a whole new dimension into the sport of fly fishing: moving water. And sometimes pretty fast moving water at that. Big streamers and wet flies in the current can be tremendously effective for large trout, salmon, and steelhead. But first you need to get your fly down to the depth where the fish are feeding. There are a number of ways to get your fly to sub-surface feeding fish. Those methods all have their advantages and disadvantages. But which type of sinking tip fly line will perform the best for your needs? 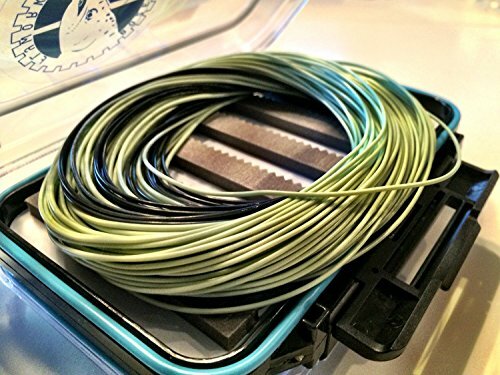 That’s why Fly Fishing Atlas brings you our take on the best sinking tip fly lines. Which type of sinking tip fly line will perform best for your needs will depend on your preferences and how you intend to fish. We offer a our top choices and explore their strengths and weaknesses. Why Choose A Sinking Tip? Before you select a sinking tip fly line you need to know why the characteristics of a sink-tip are advantageous in moving water. Like full-sink lines, sinking tip fly lines are made to sink at a specific rate that is given in inches per second(ips). While casting, the slack from a sinking tip line won’t sink around your feet, tangle in the rocks, and get hung up on river bottom like a full sink line will. That’s because the main running line on sinking tip line is actually floating line, and only the tip will sink. Sinking tip line allows you to get your fly down, while avoiding the tangled mishaps that easily occur in the shallows. Obviously you don’t want to fish a fast sinking tip line in water that is too shallow, because you’ll snag bottom. With that in mind, the most important consideration is at what depth you expect to find the fish feeding. Casting a fast sink tip in relatively shallow water will require a faster retrieve. But if a fast retrieve is what draws strikes, then a fast sinking line might exactly what you need. That will also likely be the case if you need your fly to get down quickly due to fast moving current. If you find that the fish are prone to take during a slow retrieve, or even during pauses in your retrieve, then you will need a slow sink tip line to avoid losing all your flies on the bottom. 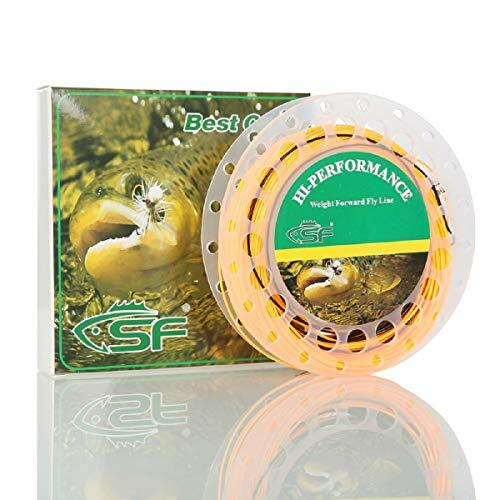 For the best chance of success, it is important that you select a sinking tip fly line suited for the water you intend to fish. Some of that comes with experience and knowing the water you are fishing. Below are our top sinking tip fly line picks. 1.Each line has a 11ft long sinking tip, attached to a unique, fatter body section that eliminates the "kick" usually associated with casting sink tip lines, while the longer front tapers ensure the line does not dump on the forward cast. 2.Each line has a welded loop on the front end for easy rigging. 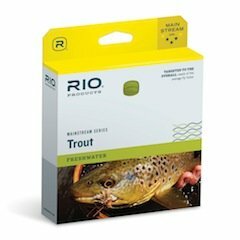 3.The supple floating body section allows anglers to easily mend and control the way the fly fishes, making it ideal for river anglers. 4.weight-forward line is helpful to long casts and better precision even in windy conditions. WF4F/S3 a floating line with a 11ft, type 3 sinking tip (3-4 ips).Tips:Attach orange end to reel,attach tipper to Black end .